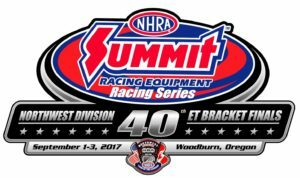 Team Firebird will be heading to Woodburn Dragstrip for the 2017 Summit E.T. Finals on Aug. 31, Sept. 1-3. Sixty-two (62) Gold Cup sharp shooters have qualified for the team from Idaho and eastern Oregon in pursuit of Firebird’s 8th Northwest Team Championship. Upwards of twenty teams in the Division 6 will be vying for team and individual titles at the four-day event. This year marks a very historic 40th year of the Team Finals that all started at Seattle Int’l Raceway in 1978. Firebird’s Host Hotel is the Holiday Inn outside Wilsonville, Oregon, just off the freeway. Pending availability (since it’s a busy time of year for the hotels in that region) is: 503 682-2211. The Firebird team is currently loaded with some of the best talent ever assembled so we are very motivated about making the trip to Woodburn over Labor Day weekend. If you’d like to come cheer on the team, feel free to make the trip with the rest of us. We’d love to have you rooting on our racers from our grand stand section. We’ll be releasing the final team players as the event approaches. We’re all very excited about all the top flight racers attending this year’s Finals.